Mobilunity provides dedicated remote teams and IT outsourcing services for development and design services. 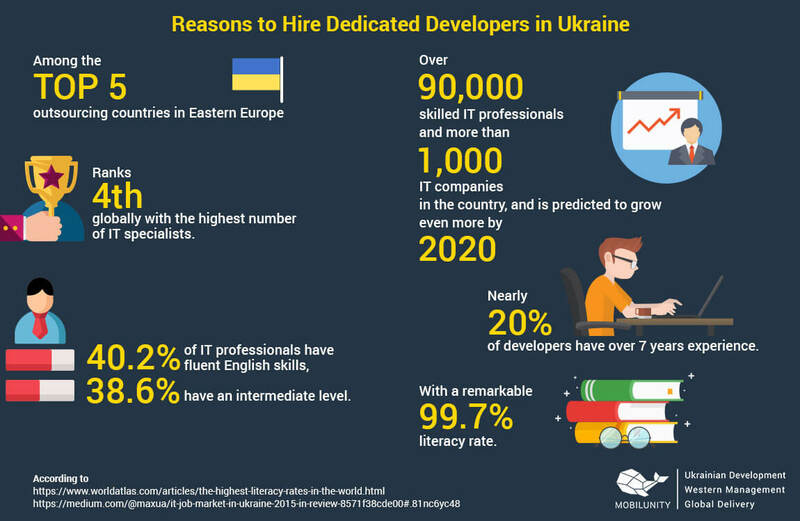 Mobilunity provides a wide array of technologies to its clients from various industries, and access to its dedicated Ukrainian tech talent pool to provide mobile, web, software services. Ukrainian development, western management, and global delivery services.